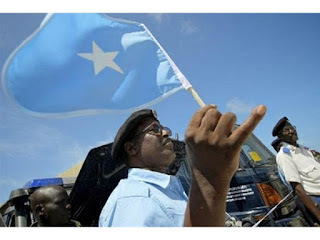 Mogadishu [Somalia], May 8 (ANI) :An al-Shabaab leader was killed in the lower Shabelle region in an operation conducted by the Somali National Army. Information Minister Abdirahman Yarisow said in a statement that Moalin Osman Andi Badlil and three of his associates were killed during an operation against al-Shabaab militants about 64 kms of the capital Mogdishu. "The killing of Somalian leader will weaken the strength of terrorists in lower Shabelle region. It is a victory for the Somali forces and peacekeeping." The government said the death of the al Shabaab leader 'strengthens the war on terror so fighters have a chance to leave the terror group. With an aim to topple Somalia's Western backed government and drive out African Union peacekeeping troops, Al Qaeda affliated group al Shabaaab have carried out frequent attack in Mogadishu. Al-Shabaab is an al Qaeda-linked terror group that seeks to turn the country into a fundamentalist Islamic state and has carried out repeated attacks against the government and military targets.